Over the course of less than 12 hours on Wednesday, March 23, North Carolina introduced and passed a bill striking down all LGBTQ nondiscrimination ordinances and banning transgender individuals from using restrooms according to their gender identity. The bill was signed into law by North Carolina Governor Pat McCrory. Needless to say, such a discriminatory law didn't pass unnoticed; the hashtag "We Are Not This" began trending on Twitter not long after news of House Bill 2's fate broke. Although a hashtag isn't capable of overriding the enactment of HB-2, it's certainly enough to make sure the unpopularity of the law is heard, loud and clear. According to Advocate, the bill was unveiled during a special legislative session, which North Carolina politicians called in response to a transgender-inclusive nondiscrimination ordinance in Charlotte, NC. HB-2 strikes down this legislation by mandating that state law override the city's ordinances regarding wages, employment, and public accommodations. The ordinance in question, which was set to go into effect on April 1, added sexual orientation and gender identity to the city's nondiscrimination laws regarding public accommodations. In short, it would have protected LGBTQ people from discrimination in areas like housing and — as Gov. McCrory was quick to point out — public bathrooms. "I signed bipartisan legislation to stop the breach of basic privacy and etiquette, ensure privacy in bathrooms and locker rooms," McCrory wrote on Twitter following the enactment of the bill. BuzzFeed reports that the bill passed 83–25 in the House Wednesday afternoon, and the Senate voted 32-0 after all Democratic senators walked out in protest. As Sen. Jeff Jackson pointed out, HB-2 has consequences far beyond Charlotte's city limits. 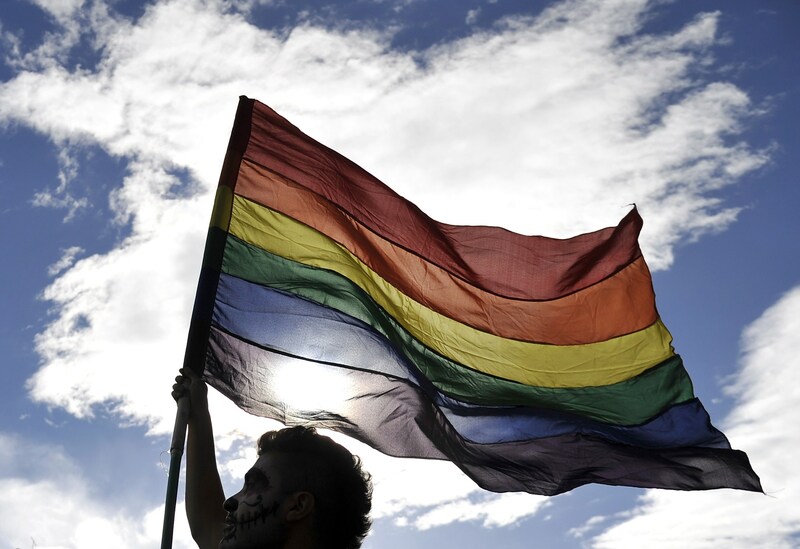 "If it becomes law, it means any business in the state can refuse service to any LGBT person... This is going to be the broadest anti-LGBT legislation in the nation, and it will hurt our state deeply if it becomes law," he wrote on Facebook. Once news of the legislation broke, it was quickly denounced by lawmakers, local businesses, and the people affected by its passage using the hashtag #WeAreNotThishttp: . Many focused on its effect on transgender people, pointing out that they're more likely to need protection from harassment than anyone else. Others note that by striking down local nondiscrimination ordinances, the law essentially declares open season on LGBTQ rights. The law certainly has its supporters, but above all, most people simply seemed disgusted. "North Carolina is better than this," North Carolina Attorney General Roy Cooper said in a video statement. This isn't the first attack on LGBT rights of the year; in fact, the Human Rights Campaign noted that 2016 is shaping up to be one of the most dangerous years for transgender rights as certain lawmakers seek to undo the LGBTQ victories of 2015. HB-2 may be one of the most overtly discriminatory laws so far, but the worst may still be ahead of us.